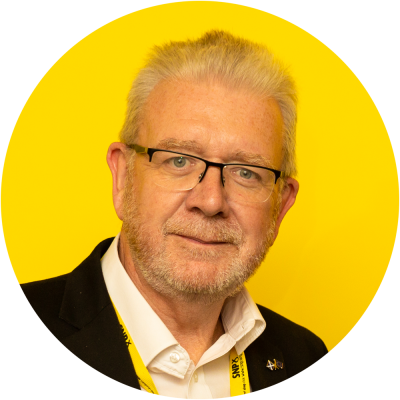 Below is Michael Russell’s speech to the Scottish Parliament on the proposed UK/EU Withdrawal Agreement. Presiding Officer, I am grateful for the opportunity at this important moment in the Brexit process to update the chamber on the latest developments. Though given the speed of those developments in the last 48 hours I am not confident that I will be able to cover everything or that things will not have changed once again before I sit down. However at the outset let me say that I make this statement with a heavy heart. Scotland voted to stay in the EU in June 2016 by 62% to 38%. To be dragged out of the EU against our will is democratically wrong and will be deeply resented by many in this country. Those of us who regard ourselves as Europeans and Scots, and whose life experience has been embedded in that identity will feel particularly sad and sore. Now, no doubt there are others who will rejoice at what is taking place. I respect their view. But, it is fair to note that the experience of Brexit , and the demonstration of Tory incompetence over the last two years has not only resulted in a growing number of those who wish to remain in the EU but also in a diminution in those who are in any way persuaded by the empty bluster of the Conservative party in Scotland on these matters. Today’s polls tell the story. I believe a future election will confirm it. But this is a sad day, none the less. A day in which spin, rhetoric, the misuse of funds and the manipulation of electoral legislation has led to the worst and most damaging decision made by a UK Government in any of our lifetimes. A day in which the UK Government has attempted – voluntarily, and for its own selfish political purposes – to lower the standard of living of all the citizens of Scotland and to distance itself from the global benefits of the world’s largest free trade block. The Prime Minister last night described this proposed agreement as “the best that could be obtained in the circumstances.” But what a difference a day makes – particularly to “circumstances” Her deal was the inevitable result of a series of self imposed draconian red lines, the wish to turn her back on sensible co-operation across our continent and the loose talk and empty rhetoric of her Cabinet who have shown contempt for evidence based policy making. And the death of her deal over the past 24 hours – for it is now essentially dead – arises from the same insularity, the same wrong headedness and the same arrogance. She has only herself to blame for the appalling circumstances she has found herself in – appalling circumstances not just for her but for all of these islands. Presiding Officer there has been much analysis of the deal already, despite the fact that the details are still not as clear as they should be, particularly with regard to the Political Declaration. But , briefly this deal, first of all maintains a form of customs union for a period of time for all of these islands. That is, in itself, welcome but because it is partial, does not include any of the advantages of the single market and is meant to be temporary it is nowhere good enough. Secondly it makes a differentiation between Northern Ireland and the rest of the UK in similar terms to those which we suggested for Scotland two years ago. Thirdly it prepares the ground for a continuing betrayal of our fishing interests. Fourthly it fails to guarantee key rights – human rights, environmental rights , employment rights which we need and which we should never give up. And finally by its language and outcomes it continues to ignore the current devolution settlement and the democratic institutions in Scotland and Wales. Indeed, as the Prime Minster herself confirmed this morning, Scotland does not exist in her thinking about this deal, a fact very tellingly illustrated by the distinguished blogger and legal writer David Allan Green when he pointed out this morning that the document that outlines the deal refers to the British Antarctic Territory, but makes no mention at all of Scotland. Does not make even a gesture towards recognizing the vote of Scotland to Remain. Takes away the four freedoms and in particularly freedom of movement which is essential for Scotland. Fails to address in any way the additional pressures on Scotland if its neighbor in Northern Ireland retains the advantages of Single Market and Customs Union involvement. It cannot therefore be supported by this Government or the SNP. Presiding Officer much of Scotland looks at the current stat of the UK Government with astonishment and resentment. Scotland is an outward focused European nation. We voted to remain within the European Union. It is clear that we would do so again tomorrow if a similar referendum was held. The Scottish Government has been clear and remains clear that the best outcome for Scotland is to remain within the EU. But – and it is a big but that has cost the Scottish Government a great deal of effort – we have repeatedly tried to find a compromise position which would allow the UK Government and the Scottish Government to move forward. But alas to no avail. Well, first of all, we should take some heart from a major development just this week when the leaders of all the opposition parties at Westminster – including Jeremy Corbyn and Vince Cable – took action to ensure that there will be the opportunity for other proposals to be put when the so called “meaningful vote” is held. There are many alternatives that might be considered – including the Scottish Government policy of remaining in the Single Market and Customs Union, as well as an EEA model, remaining in the EU, as the Prime Minister herself let slip yesterday. So no one can now argue that the choice is whatever the Prime Minister says it is. The choice will be what the people and their elected representatives say it should be. We will therefore as a party in the House of Commons continue to work in a constructive and common sense way with other opposition parties to save us from the chaos of this Tory Brexit. And I commit the Scottish Government to the same constructive working which we have tried to carry forward in this chamber with other parties during the Brexit period. Presiding Officer not only is this a bad deal, it is being pursued in a bad way. The presentation of a totally false choice to try and bludgeon MPs and others to support the Prime Minister is one sign of that. Another is the actions of the UK Government which have sought to restrict the powers of this Parliament and which have already imposed upon us legislation against our will. This is not just a bad deal because it will damage our future relationship with Europe, but because it also creates the pretext for a continued unconstitutional assault on the rights and privileges of the people of Scotland, as exercised through this Parliament. It is an attempt to unsettle the will of the Scottish people. Whilst eroding the rights of, and imperilling the future prosperity of, everyone who lives in this country. So, Presiding Officer, what is being offered is unacceptable. And so is what is not being offered. This deal of course provides for a degree of differentiation in Northern Ireland, which we fully support as essential to the future functioning of the Irish Border and the protection of the Good Friday Agreement. We want that to happen and we will do everything we can to help it happen. And of course whilst the deal provides for the whole of the UK to be within a Customs Union with the EU (thus rendering Liam Fox’s job redundant at a stroke of the negotiators pen) , there will also we understand be specific provisions including Single Market alignment provision which will only apply to Northern Ireland. This will see a better level of access to the European Market for NI compared to other parts of the UK. We rejoice for Northern Ireland that this has been achieved. But we cannot accept that it be achieved only for Northern Ireland. The Scottish Government has been arguing since December 2016 that if the UK leaves the Single Market, Scotland should remain. But in January 2017 – within weeks of the publication of “Scotland’s Place in Europe” – I was told to my face by David Davis in his own office in the House of Commons that differentiation could not work in these islands and would not be proposed by the UK Government. But now Northern Ireland rightly is to receive that special status yet we, alone of the four nations, will get nothing that we voted for. England and Wales voted Leave and will leave, even though polls now show that the majority in Wales is against and much of England is moving that way. Northern Ireland will get a special deal. Even tiny Gibraltar which was resounding in its need for continued special treatment – which we understood and supported – has been given that special treatment. But Scotland, with the highest remain vote of any of the UK nations, is to be dragged out of the EU against our will, exposed to severe economic disadvantage and damage, have the powers of our Parliament diminished and yet given nothing at all. Enough, Presiding Officer, is enough. Throughout the long , tortuous processes of engagement with the UK Government we have been repeatedly ensured of the importance of our views. But those assurances have turned out to be worthless and hollow. So what, Presiding Officer, do we here in this Parliament do next? Firstly we should go on working with others – in Scotland, in the UK and across parties – to ensure there is a better deal than the false choice offered by the UK Government of this disastrous deal or no deal. We will also ensure this Scottish Parliament has the right to give its view on this deal and I confirm today that the Scottish Government will bring the deal, if agreed at the Brussels Summit on November 25th, to this chamber for a vote before the vote takes place in the House of Commons. And of course our motion will be amendable. That is how a proper Parliament should work. But, as I said at the beginning of this statement, Presiding Officer, this is a sad day for those of us who believe and still believe in the importance of European co-operation. Those of us who reject the demonising of migration, the mis-representation of co-operation and the assertion of false claims regarding “taking back control” and the “independence “ of the UK. Those of us who still believe in a better future for our country. Of course in one sense we have been here before. The promises made from 2014 – “lead, not leave” for example – have turned out to be worthless. We are not an equal partner and the events of this week have proved it beyond peradventure. And I know that from each and every meeting of the JMC I have attended on behalf of this Government. Far from leading the UK, the people of Scotland have been ignored and dismissed. Westminster has treated Scotland with contempt. But it does not have to be that way. It should not be that way. And I would contend that the duty of every elected representative in this place is to make sure it isn’t allowed to be that way. We understand that politicians are, if they are anything, people with a vision of a better future motivated by a burning desire to help our fellow citizens to achieve it. Brexit isn’t a better future – it is a backward step into an imagined past. That is now crystal clear, and every word of this “deal” proves it to be true. Brexit, Presiding Officer, for Scotland can only get worse. So we must acknowledge that this deal is unacceptable to Scotland and her citizens. And we must then find a way to work together to ensure that our country is not failed by a disastrous Tory Brexit, but enabled to flourish by choosing a different way forward.